A woman was sexually assaulted in an early morning incident in Preston yesterday. 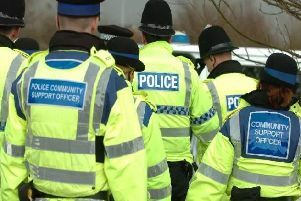 Police were called at around 9:20am yesterday (Thursday, April 19) following an incident in Mercer Street where a 26-year-old woman was walking to work when she was approached from behind by a male. The offender grabbed the victim and sexually assaulted her, before making off from the scene through Lidl car park, off New Hall Lane. The suspect is described as Asian, aged 17 and of very slim build. He was wearing a light-grey zip-up hoody and tracksuit pants, as well as carrying a dark coloured backpack. He was also wearing a brightly coloured lanyard, possibly red or orange. PC Alex Haines, of Preston Police said: “An investigation is underway after a woman was sexually assaulted in Preston.